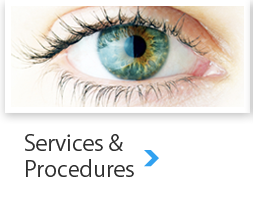 Ophthalmic Surgical Associates is dedicated to providing exceptional, personalized ophthalmic care for all of our patients. From comprehensive eye examinations to delicate surgery, our practice specializes in diseases and conditions of the eye. We focus on the prevention of these illnesses by utilizing the latest advances in medicine combined with the state-of-the-art technology to treat our patients with comfort and compassion, as well as treat chronic disorders that may arise. Our patients are treated with the greatest degree of respect and personalized attention. As our patient, you will be provided with a health oriented means of communication throughout your lifetime. Drs. Christopher A. Williams, MD and John Witherell, MD were voted Top Docs in Main Line Magazine. Drs. Williams and Whitherell are also two of only a few doctors in the area performing LenSx Cataract Surgery. Drs. Christopher A. Williams, MD and John Witherell, MD were voted Top Docs in Main Line Magazine.